No business can possibly thrive without expertly managing its accounts and finances. Finances are like blood which an organization needs to operate effectively. However, managing them is easier said then done. You require the proper tools to facilitate you rather than create more chaos. Out of many financial and accounting tools available in the market, one stands above all - QuickBooks. It gives us immense pleasure to announce that RepairDesk has launched its integration with QuickBooks to help repair centers in achieving business excellence. - Keep track of your invoices and transactions to effectively manage your invoices. Excited to get started? Let's help you to set this up! 1. Login to RepairDesk and head to Integrations. Under Accounting tab, select QuickBooks. 2. 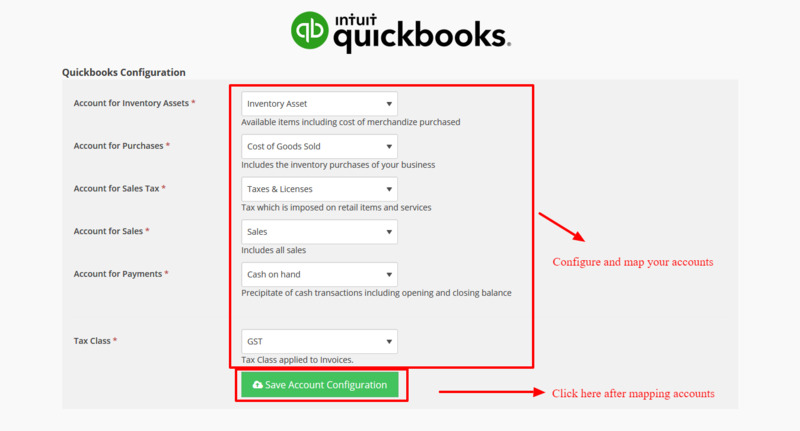 Click on Connect button to initiate configuration between RepairDesk and your QuickBooks account. 3. You will be taken to another screen. Click on Connect to QuickBooks button. 4. 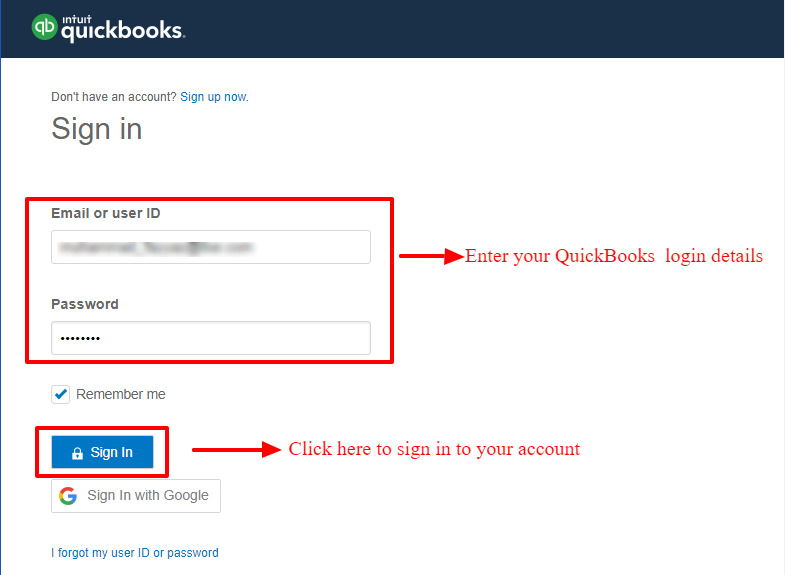 On the Sign In screen, enter your login details for your QuickBooks account and click on Sign In button. Note: This integration works with cloud version of QuickBooks and not with Desktop version. 5. Select an organization/ company which you want to connect with RepairDesk. Note: there are two options through which you can map repair desk stores with quick book company. if the user wants to add all the stores with once quick book account/company or different stores with different company on a quick book by selecting respective options. 6. Click on a single company and you have to select stores and map quick book account with respective repair desk accounts. 7. 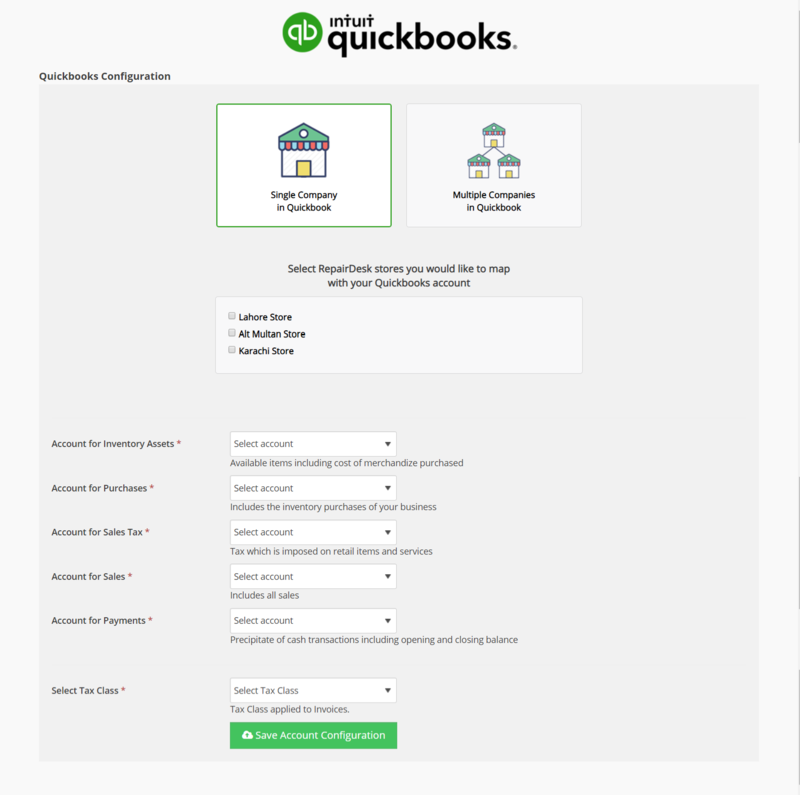 Once you've configured accounts, you would neet to set up and map your accounts for RepairDesk's integration for QuickBooks. Note: Please refer to your accounting department to guide you regarding which accounts are being used for your business and map them accordingly. Please refer to your comapny's chart of accounts for this purpose. It's compulsory to select all accounts for the integration to work properly. Once you have mapped accounts, click on Save Account Configuration button. 8. 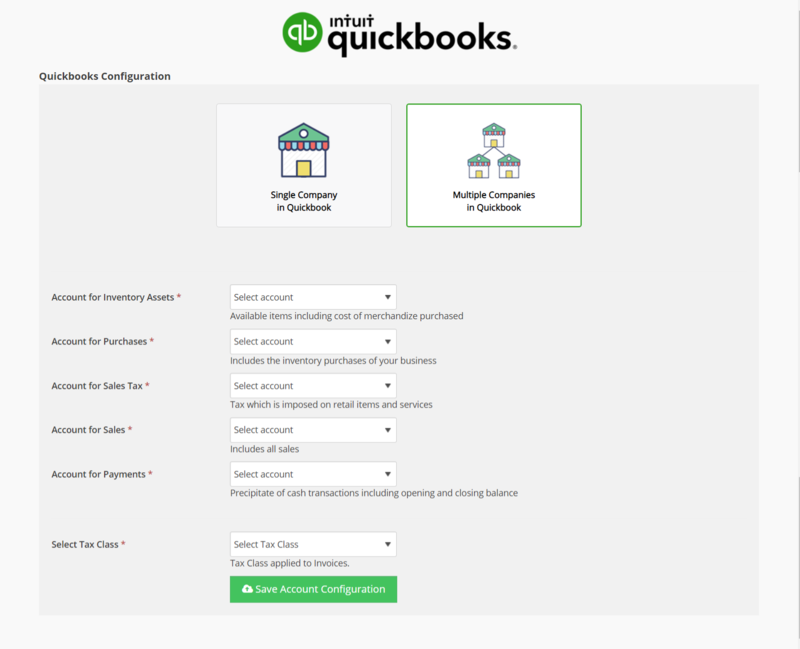 Now you will be taken back to QuickBooks integaration page. If you want to re-configure your accounts, click on Account Configuration. If you want to disable this integration, click on Disconnect button. Completed: Invoices has been successfully synced with QuickBooks. In Queue: Invoices have been lined up in queue for syncing. Pending: These invoices have not been yet sent to queue for syncing. 10. You can search particular invoices on the basis of their syncing status with QuickBooks. Just click on Search Filter on Manage Invoices page and select any status from the drop-down menu and click on Search. 11. To sync a particular invoice, click on the Action button against the invoice and select Sync with QuickBooks option from the drop-down menu. 12. 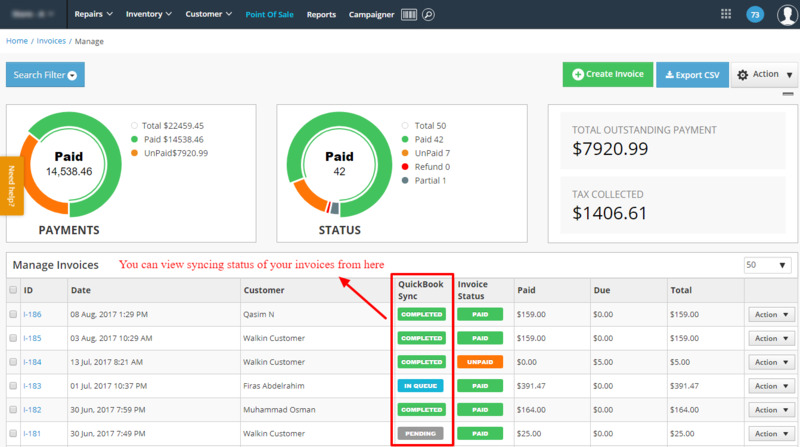 To sync invoices in bulk, click on checkboxes against invoices in order to mark them for selection. Once selected, click on the Action button on the top-right corner and select Sync with QuickBooks option from the drop-down menu. Q. How many requests can QuickBooks process at a time? A. QuickBooks can process 50 requests per minute, be it either customer, inventory or invoice request. So if you are syncing a large amount of inventory, customers or invoices, QuickBooks will take time to sync them. Q. How are inventory items and customers sync with QuickBooks? A. Our QuickBooks integration with RepairDesk primarily syncs on the basis of invoices. When an invoice is synced with QuickBooks, the integration checks if the customer or inventory item already exists in QuickBooks or not. If it doesn't exist, it is then added to QuickBooks. Q. Can I add two different customers with same name? A. Sure! However, in order to differentiate these two customers, their Customer ID in RepairDesk will be added after their name so that they can be distinguished and system doesn't mix them up. Q. Can I add line item discount? A. Our integration with RepairDesk considers overall discount instead of line items discount. If the items in your invoices have line items discount, the integration is smart enough to accumulate these line items under a separate line item called discount with negative sum so that your amounts are not affected and discount is accounted properly. Q. Can I add multiple tax classes for different items in an invoice? A. In RepairDesk you can select different tax classes for different invoices while creating an invoice, however, while using QuickBooks integration only a single tax class should be applied thorughout the invoice. The integration will detect if a tax class is applied or not. Therfore we strongly advise that you use same tax class for all items in such invoices. Q. Does this integration works with Quickbooks basic? A. At present, our integration works with Quickbooks plus only!